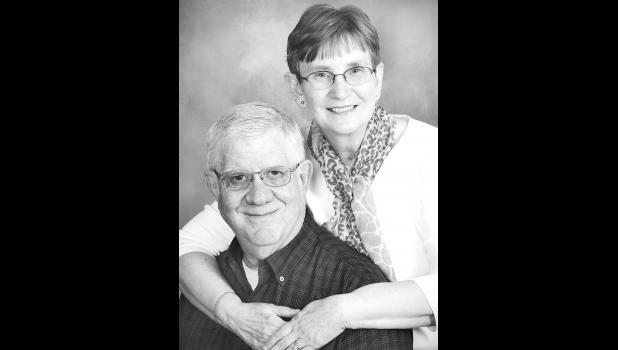 Orin and Lenora Marshall of Holton will celebrate their 50th wedding anniversary on Friday. Lenora Waltz and Orin Marshall were married on July 14, 1967 in Girard. They have two children, Robert Marshall and his wife, Monika, of Wiesbaden, Germany, and Cheryl Brosa and her husband, Cary, of Valley Falls. They also have five grandchildren, Kevin Marshall, Sean Marshall, Kyle Brosa, Cole Brosa and Abbey Brosa. The couple has enjoyed working with youth ministry and traveling. Some highlights were visiting all 50 states, Biking Across Kansas and visiting a number of foreign countries. The couple celebrated their anniversary by taking their children and grandchildren to France and Germany in June. They also had a family celebration at the home of Cheryl and Cary Brosa in July.